Back in 2008 my posts about funding problems with the EMI group pension fund - which potentially affected my own pension - attracted a lot of interest. Now today’s mail has brought the good news that the trustees have reached agreement with Citigroup to inject £240 million into the pension fund, and, to quote the trustees, “This payment has significantly improved the financial position of the fund”. It would have been more rewarding if the peerless legacy of Boult, Barbirolli, Munrow, Karajan et al could have funded my future CD purchases. But, as the masters of the universe nuked that option, Citigroup’s money will have to do instead. 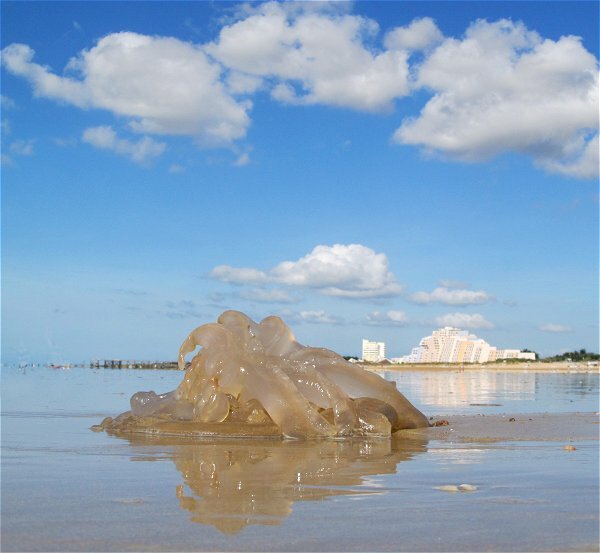 So what has a jellyfish on a beach in western France got to do with the EMI pension fund? Well, Karajan was an EMI artist, and Siegfried Lauterwasser was his court photographer. Lauterwasser’s son Alexander is a graphic artist, and his cymatic images were linked to a jellyfish on the same beach in a 2009 post. Understand now why it is called On An Overgrown Path?